Bored with Christmas specials and repeats from broadcast and cable television over the holidays? 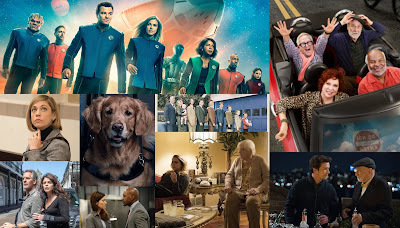 Then take a peek at what is departing Hulu on January 31 (in Red, all films), and eagerly anticipate when blocks of television are released on Hulu. Early-mid January if rife with television premieres, so set your schedules or keep this list handy for the latest comings and goings from Hulu.